The words “one another” have significant meaning for the New Testament church. For all those who have called upon the name of Jesus for salvation have been redeemed and adopted by God. And as children of God, we are now people who consider the well-being and spiritual health of our brothers and sisters in Christ. This is so important for us to understand and embrace because the church is healthiest when we are “one another” kind of people. Take for instance the words of Jesus in John 13:34-35, “A new commandment I give to you, that you love one another: just as I have loved you, you also are to love one another. 35 By this all people will know that you are my disciples, if you have love for one another.” When Jesus commands his disciples to “love one another” it was for their own good and for the glory of God’s name. He called them to be his disciples and to make them a witness to his majesty and glory. The way in which they would testify to the world of the saving power of Jesus would be in how they loved one another. It was vital that the disciples embraced Christ’s command. And throughout history, the times in which the church of God has been most effective and most Christ-like has been when God’s people displayed true love for one another. In the way that Jesus loves us, we are to love one another. But how? The New Testament writers had a unique understanding of the necessity for the children of God who profess faith in Christ to love one another. It would be the bond that would hold the church together for generations. In fact, the NT is filled with commands on how we are to love one another. Here are just a few references: Seek restoration, comfort and peace with one another (2 Corinthians 13:11); Use your freedom in Christ to serve one another (Galatians 5:13); Bear one another’s burdens (Galatians 6:2); Be kind, tenderhearted, and forgiving of one another (Ephesians 4:32); Teach and admonish one another in God’s wisdom (Colossians 3:16); Encourage one another in God’s Word (1 Thessalonians 4:18 & 5:11); Consider how to stir up one another to love and good works (Hebrews 10:24); Confess to one another and pray for one another (James 5:16); Show hospitality to one another (1 Peter 4:9); Be humble toward one another (1 Peter 5:5); Love one another (1 John 4:7,11,12). Notice how every command is given for the good of someone else. Restoration, encouragement, prayer, bearing burdens, and forgiveness are all ways in which we extend Christ-like love to our brothers and sisters in Christ. It is necessary that we as a church family embrace these commands and seek to DO them in our daily lives. When the church expresses her love for Jesus by loving one another, there is no way for the watching world to deny the power of the gospel. I’ve been thinking about our church family and how much we like to spend time together in fellowship (usually around a table with food). In fact, the cover of this month’s newsletter features the favorite of all “fellowship meals” in our beloved Louisiana: boiled crawfish. 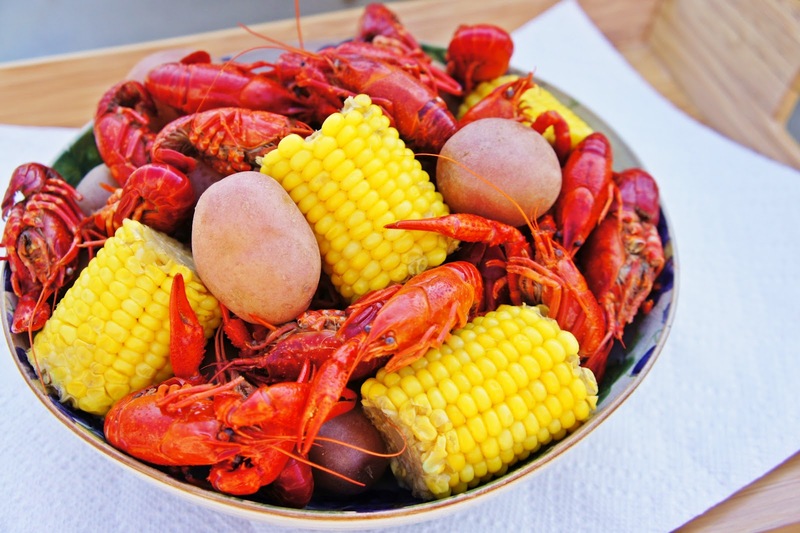 As I’ve considered how we as a church family can find ways to actively live out all of the ‘one another’ verses in scripture, I couldn’t help thinking about how our time together on April 13th around tables of hot, boiled crawfish is a perfect opportunity to comfort, forgive, teach, encourage, pray for, and love one another. I want to challenge the people of FBC Baton Rouge to take the words of scripture seriously and seek to DO what we are commanded to do (James 1:22). Make your conversations about the gospel; encourage one another to press on in faith; invite the lost to join us for crawfish and offer to pray for them; share your struggles with your brothers and sisters in Christ and ask for prayer; encourage each other to keep Christ at the center of their lives. Let us not waste these precious moments we have together as a church family to build up one another in the love and admonition of our Lord and Savior Jesus Christ. After all, if it was not for Jesus, we would not all be together. Since we are together, let’s make it all about Jesus. In the Gospel of Luke, Jesus tells a parable about a shepherd who left his flock of 99 sheep, who were “safe” in his care, and went looking for the one that was lost and separated from the flock and away from the shepherd’s care. 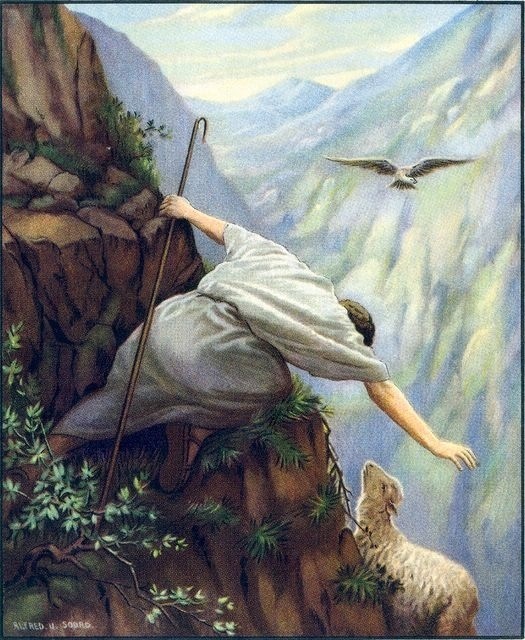 In this illustration, Jesus challenges the religious leaders to consider what they would do if one of their sheep went astray and was lost from the flock. Would he not leave his 99 sheep to go search for the one who is lost? Of course he would! The reason is because that 1 sheep is valuable to the shepherd. He knows its name (John 10:3) and the sheep knows the voice of the shepherd. It is a relationship bound by the willingness and ability of the shepherd to look after his sheep. And when one goes missing, the shepherd goes out to “seek and save” his lost sheep. But how does this illustration answer the question about “why Jesus had to come and die.” To put it as simply as possible: Your sin and my sin are the cause of our lostness and we are in need of rescue. God created all people to live in relationship with him according to his perfect and holy will; but we have chosen to go our own way and live according to our own standards (Romans 3:23). Our choice to wander away from God has separated us from him and we are lost and helpless without him. We cannot save ourselves because we are not able. Unless God comes to rescue us and unless we answer him when he calls out to us, we will be lost forever. We will never know the care of God without being rescued. The way God rescues us is by sending us the Good Shepherd [Jesus] to seek us out and to save us completely. See, the story about the lost sheep that was rescued is really more about the shepherd than the sheep. The story is really about Jesus. Isaiah 53 is one of the most well-known and important passages of scripture in the Word of God as it points you and me to Jesus. The prophecy of Isaiah in this chapter is one of direct connection to Jesus Christ, as the prophet identifies the Messiah as a suffering Savior, one who would not have any earthly “majesty” nor would he be much to look at (v.2). He but would be a “man of sorrows” who would be “despised and reject by men” (v.3). The Messiah would be stricken and afflicted to the point of death, by God’s will and at the hands of mankind (v.4). The sins and transgression of us all would be laid upon the innocent man Jesus (v.5). He would be crushed and pierced because of our sins. The prophet Isaiah paints for us a clear and convicting picture of our implicit guilt in the death of Jesus Christ, the Messiah of God. And why is it that we are responsible for the death of Jesus? The death of Jesus was the means by which you and I as “lost sheep” could be rescued. In v. 6, Isaiah shows us, indirectly, why Jesus came and why he died. Isaiah writes “All we like sheep have gone astray; we have turned every one – to his own way; and the Lord has laid on him the iniquity of us all.” Do you see how Isaiah 53:6 connects us to Luke 19:10? Because of our sinful hearts, we are like wandering, defenseless sheep always looking for greener grass somewhere else. 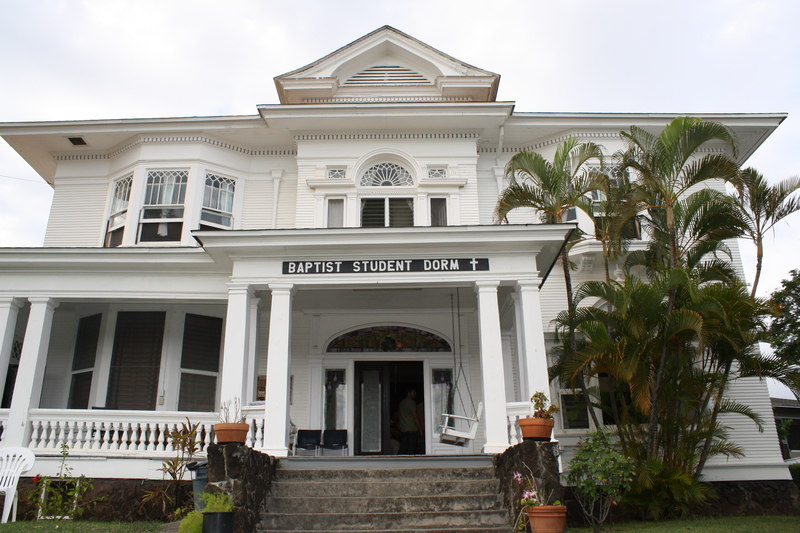 We like comfort, safety, and abundant provisions and we like to do things our own way. This natural inclination of our selfish hearts leads us to sin, which is a transgression against God’s holiness and in turn separates us from God and places us in a position of “lostness.” Therefore, in order truly rescue sinners like you and me, Jesus had to come and die in our place. He had to “lay his life down for his sheep” (John 10:15). Because we are like lost and helpless sheep, we have needs beyond what we can see and only God can help us. In fact, if the shepherd didn’t seek us out, we wouldn’t even know we were lost until it is too late. When we hear the voice of Jesus calling us back to him, we recognize our lost condition and immediately begin looking for his outstretched hand. By his grace, he has helped us in a truly magnificent way. Jesus came and bore our sins, iniquities, and failures. God punished Jesus and rescued us. Jesus came to seek and save the lost sheep so that we could know and love God the way we are intended to. So why did Jesus have to come and die? Because he is the Good Shepherd who seeks and saves his lost sheep. Do you know the Good Shepherd Jesus? Will you answer his voice when he calls?